It is nearly September and Spring is coming. I have been finding lots of nests. 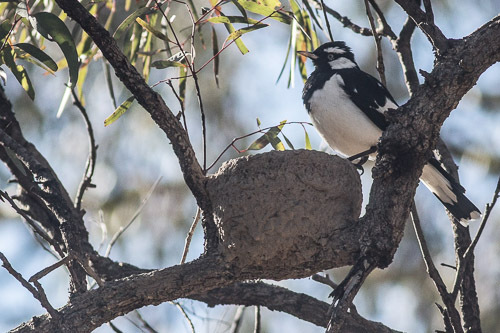 The other day I saw a Blue-faced Honeyeater nest and today I saw Magpie-lark and Noisy Friarbird nests. Things are warming up although I did spend a very cold night at Cassilis, on top of the Great Dividing Range at a whopping 700 meters altitude. 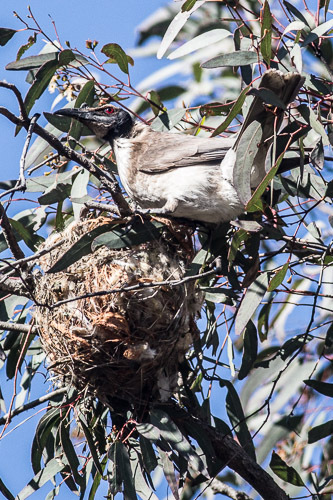 The Noisy Friarbird nest seems to be made out of fluffy things and grasses all woven together in a messy construction. Peewees in contrast make the neatest mud nests. 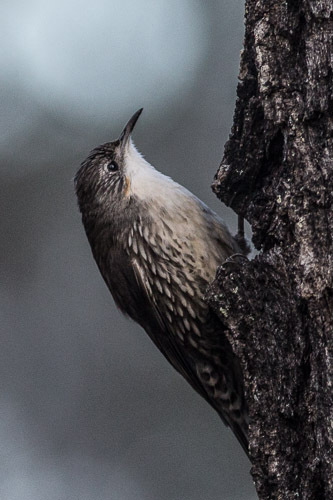 The orange patch on the cheek gives this White-throated Treecreeper away as being a female. 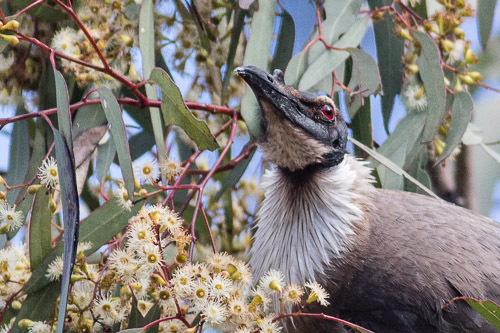 Battery Rock Rest Area is between Sandy Hollow and Merriwa on the Golden Highway, which goes from Singletong to Dubbo in New South Wales. 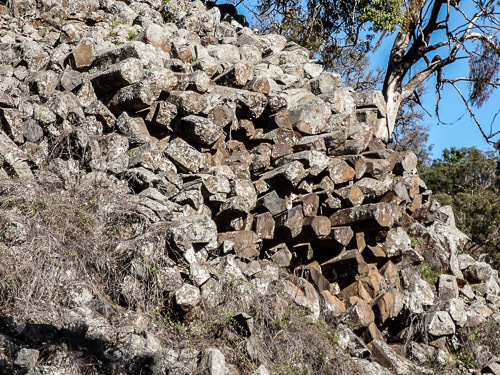 I have never stopped there before, but imagine my surprise when I encountered these basaltic columns. 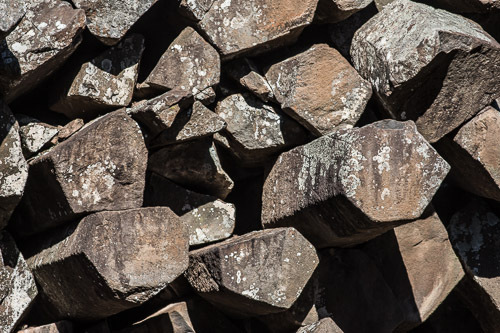 They are formed because of internal pressures when they are cooling out from lava. They are meant to be hexagonal but I counted a lot of pentagonal columns. I do not know why. 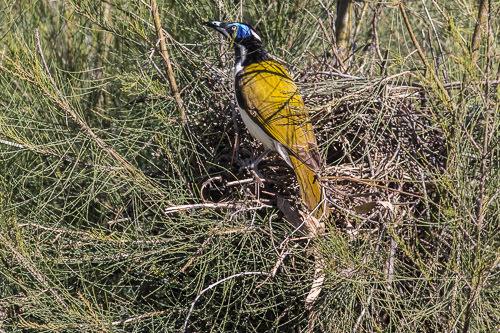 There were a lot of Blue-faced Honeyeaters and I found a nest. I had never seen one of their nests before. It is a double first for me. doh! 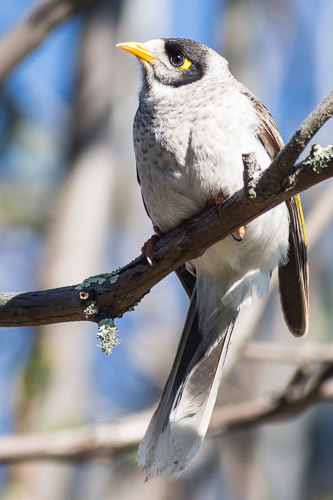 Pretty soon I will be seeing Yellow-necked Miners as I go west , but for now they are still Noisy Miners. Not sure what this is. 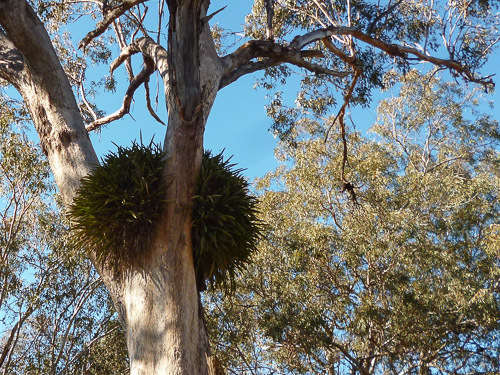 Some sort of parasitic plant growing on a gum tree. 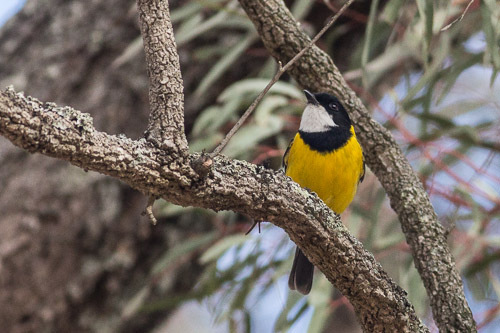 Mid-north Coast, New South Wales. 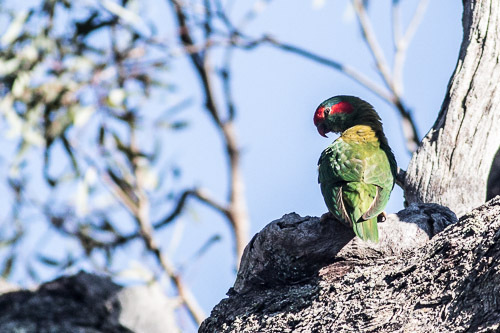 Green Knob is just on the coast from Taree on the mid-north coast of New South Wales. 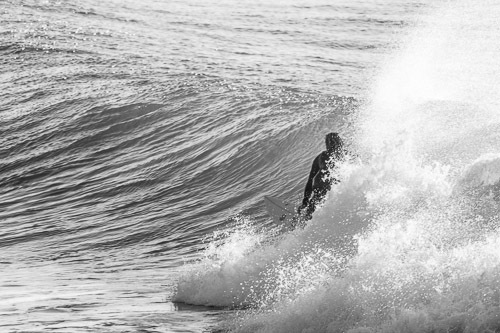 It is not a hollow wave but is good for long boards and just having fun. The sun was out and the tide was a bit low for my liking so I took some photos of a guy I met from Caloundra in Queensland. It was early in the morning so the photos were a bit backlit. It is best with the sun in the west a lot more I reckon. Getting inside a little barrel.